This cauliflower soup is so silky-smooth and dreamy, you’ll swear it has cream in it. It’s vegan, gluten-free, and paleo-friendly though, which is nice since everyone's on that crazy Whole30 diet after the holidays. 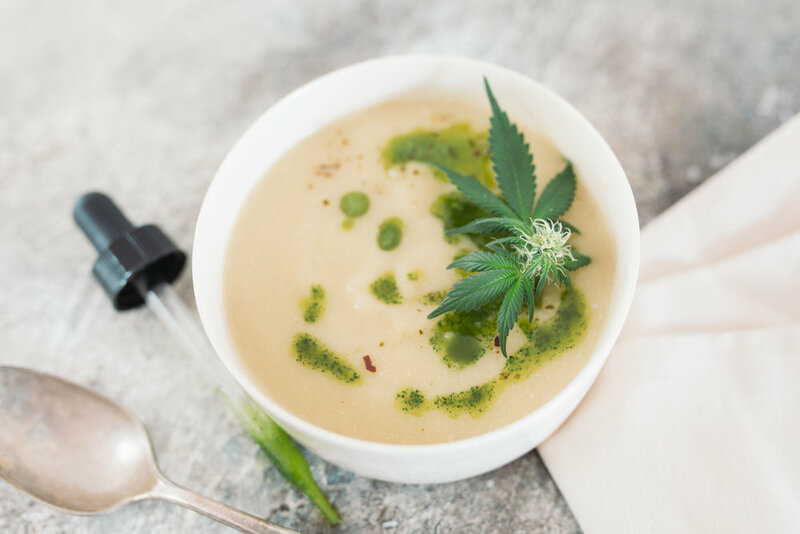 The soup is topped off with a vibrant raw cannabis and basil oil to give it a peppery, herbaceous bite. With the raw cannabis, you’re going to get all the wonderful anti-inflammatory and neuroprotective properties of THCA without any intoxication. Snag the recipe on Leafly's blog!